Why Choose AM Skip Hire? Please contact our team on 01477 535380 if you need help with your waste disposal requirements and we will be happy to help. Looking for a skip rental company that’s reputable and affordable? 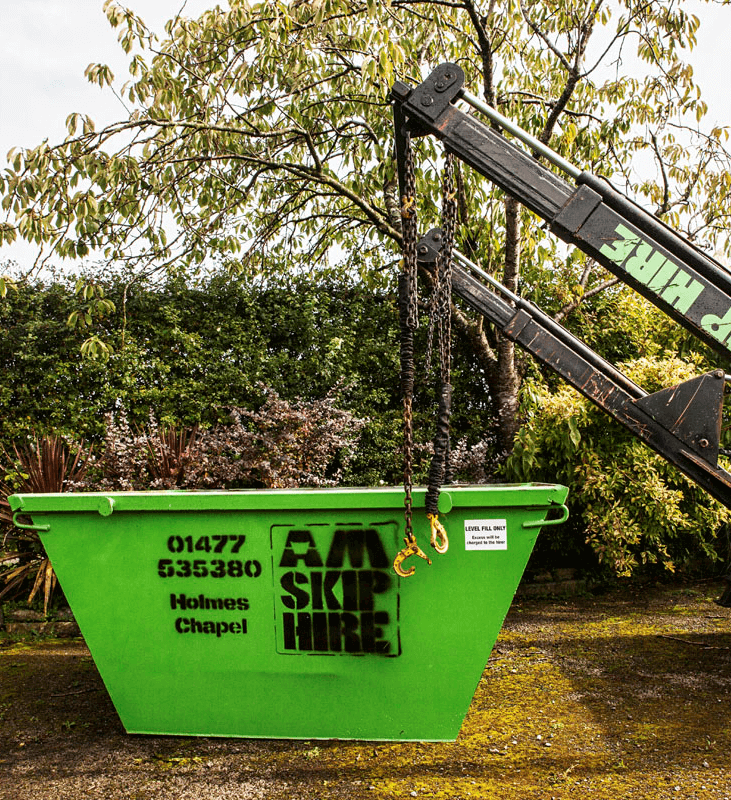 At AM Skip Hire we make skip rental simple, cost-effective and convenient. Skips are to be level filled. Drivers can be prosecuted for losing any part of their load or having an insecure load. Overloaded skips will not be collected and may be subject to an additional pick-up charge. Please contact us on 01477 535380 and we will be happy to advise you on your waste disposal requirements. 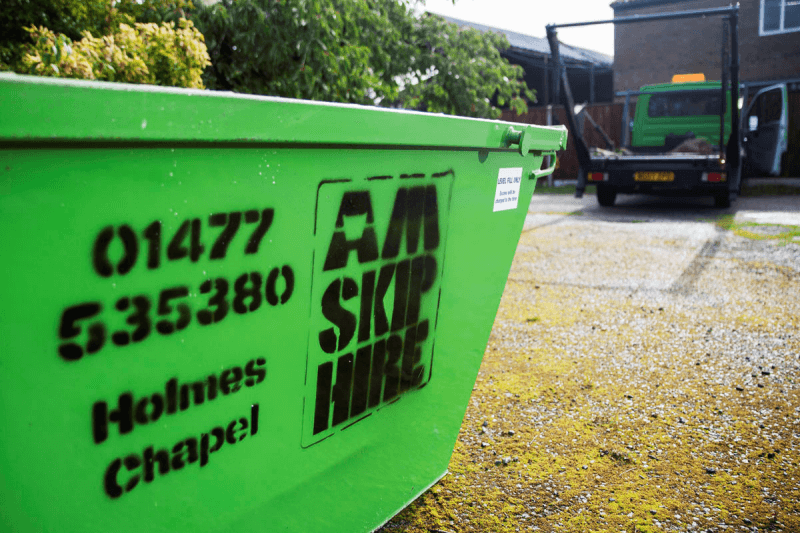 If you’re looking for a skip to hire in the Cheshire area – anywhere from Congleton to Knutsford – you’ve come to the right place here at AM Skip Hire. Our team have been providing the Cheshire area with high quality skip services for over 30 years, making us the first choice for domestic and commercial skip requirements.Our skips – whichever size you require for your circumstances – can be delivered on the same day as you order them, and then picked up the same day to avoid inundating you with waste and less space. Our team will help you decide upon the best size skip for your requirements, weighing up the amount of waste you have to dispose of and uniting you with the ideal skip that will aid you in clearing out your home, shop or construction site. Contact us today here at AM Skip Hire, where one of our advisors will be on hand to help set you up with the skip you need. We pride ourselves in being incredibly flexible here at AM Skip hire: our skip rental periods range from 1 day to 14 days – with our offices open 7 days a week – allowing you to dispose of excess waste at any time of the week and at short notice as well. We also understand how annoying it can be to wait around for a response when you’re in need of quick assistance, so we endeavour to respond to your query within the hour, meaning you can get started ASAP. AM Skip Hire acquire 4 cubic yard midi builders skips!